Home » Christianity » Put Your Hands Up! Funny Venn diagram. 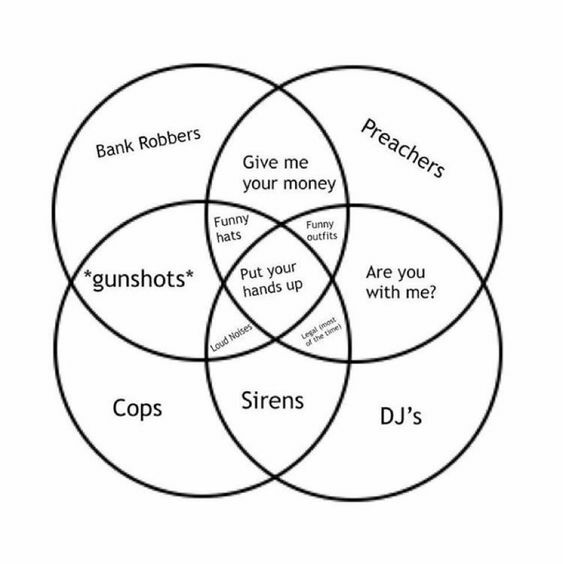 Preachers - Bank Robbers - Cops - DJ's - Put Your Hands Up!